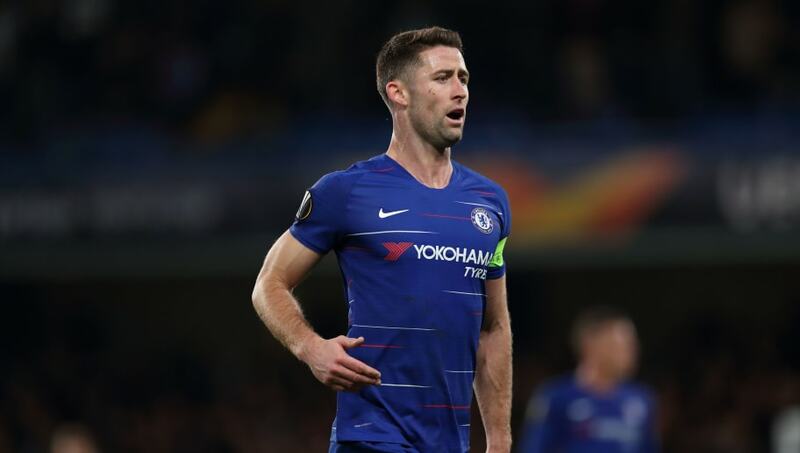 ​Maurizio Sarri has said he is prepared to let Gary Cahill leave the club, amid rumours that Arsenal could come in for the 32-year-old in January. Having struggled for league appearances, Cahill had been a regular in the Europa League, but sat out last night's 2-2 draw at Vidi for 18-year-old Ethan Ampadu, and the ​Daily Mirror have reported that Arsenal are a potential January destination for the centre-back as they seek short-term cover for the injured Rob Holding. They also claim that Sarri has told the former England defender that he can leave next month if that's what he wishes. Sarri said: "I respect ​Cahill very much because he has won everything with this club, but I have to do my job. "Every match I have to choose. For me he is not able to be on the bench. "Maybe he is the best in the box, but our defenders may play 100 or 110 balls in a match so I need defenders to be very technical. It is not my decision, but it is up to him and the club. "He is in the last year of the contract, he has to decide for a new contract here or another club." We're all feeling a bit chilly this winter, but Cahill knows more than anyone how it feels to be frozen out, having made just one substitute appearance for the Blues in the ​Premier League since Sarri's arrival in the summer. At 32, with his contract expiring in the summer and no first team opportunities on the immediate horizon, it speaks to reason that the Blues would want to cash in for a small fee in January in a move that would be beneficial to both parties. The only down side to that from a ​Chelsea perspective is that he could end up sorting out ​Arsenal's defence - but given the way they mercilessly poached Olivier Giroud in January, the precedent for business is there.